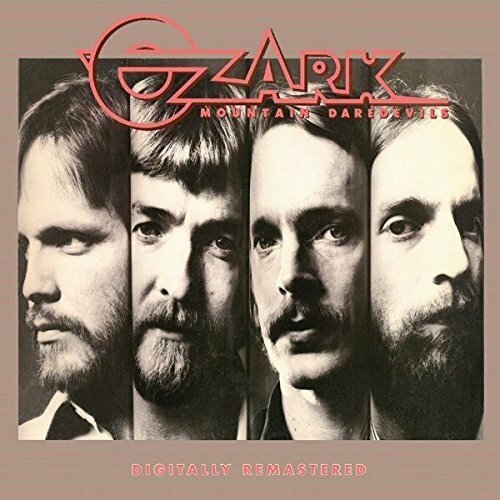 OZARK MOUNTAIN DAREDEVILS-OZARK MOUNTAIN DAREDEVILS. When Ozark Mountain Daredevils signed to Columbia Records in 1979, it was a new start for one of the finest purveyors of Southern fried country rock. They were keen to enter the studio and begin work on their seventh studio album Ozark Mountain Daredevils, which was recently reissued by BGO Records. The last year had been a tough for Ozark Mountain Daredevils. After releasing six albums of Southern fried country rock for A&M, Ozark Mountain Daredevils were dropped by the label they had spent their entire career. Considering Ozark Mountain Daredevils had been one of the most successful Southern rock bands of the seventies, this came as a surprise to many. Especially those who had followed the band’s career. Ozark Mountain Daredevils roots can be traced back to 1971, when a group of friends in Springfield, Missouri began playing as Family Tree. By 1972, the band had changed its name to Ozark Mountain Daredevils and were being managed by folk rock duo Brewer and Shipley. This came about after Ozark Mountain Daredevils sent Brewer and Shipley a copy of their second demo tape. They listened to the tape, and liked it so much they agreed to manage the band. Brewer and Shipley began formulating a plan for Ozark Mountain Daredevils’ future. Part of this plan involved Ozark Mountain Daredevils heading out to play on the live circuit. One of Ozark Mountain Daredevils earliest concerts was at the Cowtown Ballroom in Kansas City on February 8th 1973. Over the few months, Ozark Mountain Daredevils became familiar faces on the live circuit. Soon, Ozark Mountain Daredevils were a popular draw on the local live circuit. Throughout the rest of 1972 and into 1973, Ozark Mountain Daredevils’ popularity grew. Then fate intervened. A copt of Ozark Mountain Daredevils demo found its way to A&M Records staff producer David Anderle. He liked what he heard, and was in the market for a country rock band similar to The Eagles. So David Anderle and Glyn Johns flew to Missouri to see the Ozark Mountain Daredevils play at the at Cowtown Ballroom on March 10th 1973. However, when Ozark Mountain Daredevils heard that the two men from A&M would be in audience, they became nervous and didn’t give their best performance. Fortunately, Paul Peterson rescued the situation. He invited David Anderle and Glyn Johns to his house, where Ozark Mountain Daredevils gave unplugged performance by candlelight. It may have been an unorthodox audition but it worked, and Ozark Mountain Daredevils signed A&M Records on May 1st 1973. 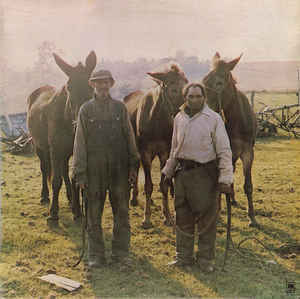 Straight away, A&M Records sent Ozark Mountain Daredevils to England, where they recorded their eponymous debut album with David Anderle and Glyn Johns. 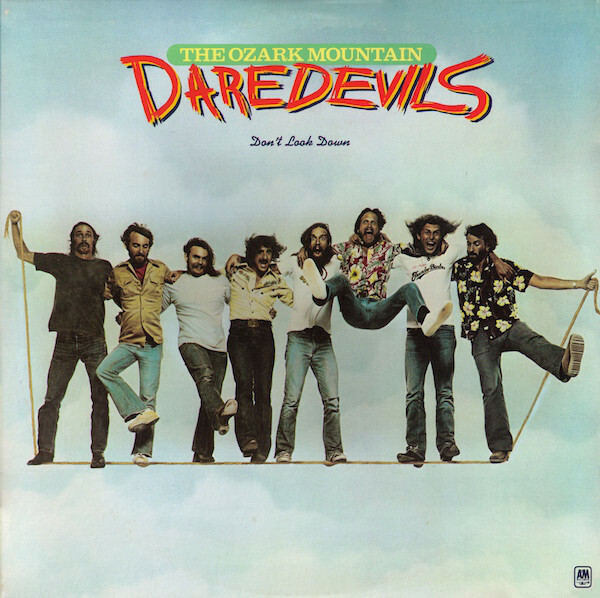 During June and July 1973, Ozark Mountain Daredevils recorded ten tracks where they fused country rock and Southern rock. Ozark Mountain Daredevils’ unique brand of Southern fried country rock proved popular. When Ozark Mountain Daredevils was released in December 1973, it was well received by critics and reached twenty-six in the US Billboard 200. The lead single If You Wanna Get To Heaven the reached twenty-five in the US Billboard 100, and twenty-three in Canada. Ozark Mountain Daredevils were on their way. It’ll Shine When It Shines. Buoyed by the success of their debut album, Ozark Mountain Daredevils began work on their sophomore album It’ll Shine When It Shines in early 1974. This time, Ozark Mountain Daredevils had managed to convince A&M Records to record the album locally. So David Anderle and Glyn Johns made the journey to Missouri where Ozark Mountain Daredevils were rehearsing in a pre-American Civil War farmhouse. That was where the album would be recorded by a mobile recording studio. 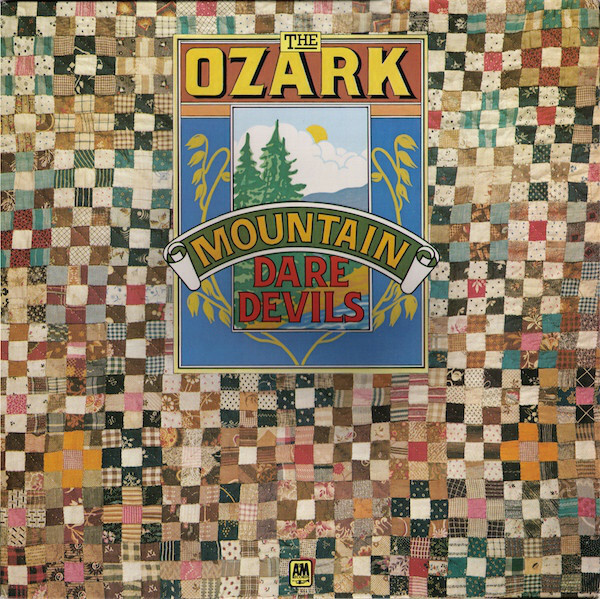 Ozark Mountain Daredevils seemed to relax in their home environment, and the two producers managed to capture some of the best songs of their band’s career. This would include the swamp rocker E.E. Lawson and Jackie Blue, which was released as a single later in 1974. It’ll Shine When It Shines was released to widespread critical acclaim in October 1974. When the album was released, it reached number nineteen in the US Billboard 200. Jackie Blue which was sung by drummer Larry Lee, was chosen as the lead single. On its release, it reached number three in the US Billboard 200 and number two in Canada. Elsewhere, Jackie Blue was a hit in Australia, New Zealand and South Africa. The success of Jackie Blue had transformed the fortunes of Ozark Mountain Daredevils. Now they had to build on this success. The Car Over The Lake Album. Having just enjoyed the most successful album of their career, A&M Records were keen that Ozark Mountain Daredevils should enter the studio as soon as possible. This time though, there were several changes. A&M Records’ executive wanted Ozark Mountain Daredevils to move to Southern California, where much of then music industry was based. However, Ozark Mountain Daredevils weren’t willing to move. This was just one sticking point. A&M Records wanted Ozark Mountain Daredevils to tour more. The band weren’t willing to embark on the lengthy tours like other bands. Nor were Ozark Mountain Daredevils willing to try and replicate Jackie Blue on The Car Over The Lake Album. All this didn’t please executives at A&M Records. Ozark Mountain Daredevils weren’t exactly winning friends and influencing people. When The Car Over The Lake Album was completed, the album was released in September 1975 to praise and plaudits. However, the album stalled at fifty-seven in the US Billboard 200. This was disappointing after the success of It’ll Shine When It Shines. Then when If I Only Knew was released as a single, it reached just seventy-four in the US Billboard 100 and sixty-five in Canada. Already, executives at A&M were beginning to lose interest in Ozark Mountain Daredevils. Following the release of The Car Over The Lake Album, Ozark Mountain Daredevils headed out on a European tour during April and May 1976. By then, the band was exhausted with the schedule of recording and touring. Tension was high during a concert in Copenhagen. The engineer was struggling with the mix, and a frustrated Randle Chowning decided to turn his amplifier up to eleven. This resulted in him getting involved in a slanging match with other band members. When Ozark Mountain Daredevils returned home, Randle Chowning decided to embark upon a solo career. This was the start of personnel changes within Ozark Mountain Daredevils. Recording of Men From Earth began before the European tour. Now it was a matter of completing the album. Just like The Car Over The Lake Album, it was produced by David Anderle. Men Form Earth was recorded in Quadrofonic Sound Studios, in Nashville, American Artist Studio, in Springfield, Missouri and at Caribou Ranch, in Colorado. Once Men From Earth was complete, it was released in autumn of 1976. Men From Earth marked the end of an era. It was founder member Randle Chowning’s swan-song. However, when the album was released in September 1976, he was no longer listed as a member of the band. Instead, he was named as one of the “Sidemen From Earth.” They played their part in an album that won over critics. Especially two of the songs penned by Larry Lee, You Know Like I Know and the Homemade Wine. Given the critics response to Men From Earth, maybe Ozark Mountain Daredevils’ luck was changing? Despite winning favour with critics, Men From Earth reached just seventy-four in the US Billboard 200. Then when You Know Like I Know was released, it reached seventy-four in the US Billboard 100 and sixty-two in Canada. For Ozark Mountain Daredevils, Men From Earth was the least successful album of their career. It was a worrying time for the band. For their fifth album Don’t Look Down, it was all change for Ozark Mountain Daredevils. There had been another departure from the band. Buddy Brayfield was next to leave. He had decided to head to medical school. This was a big loss. Ozark Mountain Daredevils decided to add three new musicians. This included their longtime friend, singer and guitarist Steve Canaday. He was joined by mandolin player Jerry Mills, and keyboardist and vocalist Ruell Chappell. The new additions made their debut on Don’t Look Down, where Ozark Mountain Daredevils were joined by a new producer. David Kershenbaum was chosen to produce Ozark Mountain Daredevils’ fifth album Don’t Look Down. Part of his remit was to transform Ozark Mountain Daredevils’ along fortunes. Ever since the release of It’ll Shine When It Shines in 1974, Ozark Mountain Daredevils’ albums had failed to sell in the same quantities. When Men From Earth reached seventy-four in the US Billboard 200, this was the lowest chart placing of any Ozark Mountain Daredevils’ album. Surely, the only way was up? Recording of Don’t Look Down took place at Caribou Ranch, Colorado. A mobile studio was brought in to record the album. Still it seemed that Ozark Mountain Daredevils were determined to do things their way. They recorded eleven new songs which they hoped would transform the fortunes of Ozark Mountain Daredevils. Once Don’t Look Down was completed, the album was scheduled for release in October 1977. Don’t Look Down which featured the latest lineup of Ozark Mountain Daredevils was well received by critics. However, when Don’t Look Down was released, it stalled at a lowly 130 in the US Billboard 200. This was the lowest chart placing of any of the Ozark Mountain Daredevils’ albums. There were several explanations for this. Country rock and Southern rock had been hugely popular when Ozark Mountain Daredevils released their first two albums. Alas, that was no longer the case. Now there was a disco boom, which was affecting all types of musicians. From soul to country rock and Southern rock, the disco boom was impacting on record sales. The slick, formulaic sound of disco seemed to filled the American charts. That was what American record buyers wanted to hear. So many artists from other genres sold their soul to the disco devil, and did what many thought was unthinkable, and released a disco record. Not Ozark Mountain Daredevils though; they had other plans. Back in the seventies, most rock bands released a live album. That was something Ozark Mountain Daredevils had still to do. So they decided to record a live album in April 1978. To record I’m Alive, Ozark Mountain Daredevils decided to tape concerts that they were due to play in Missouri and Kansas during April 1978. This would allow Ozark Mountain Daredevils to cherry pick the best recordings for their forthcoming double live album. So Ozark Mountain Daredevils hired a mobile recording studio for the live dates in April 1978. Ozark Mountain Daredevils had picked the perfect concerts to record. They were playing in front of their hometown crowd. Joining them each night Buddy Brayfield who made a guest appearance. Each night, Ozark Mountain Daredevils seemed to lift their game each night. There was plenty of material to choose for the forthcoming live album. Eventually, Ozark Mountain Daredevils who produced I’m Alive, chose sixteen tracks. This included singles and some of their most popular album tracks. They featured on the double live album I’m Alive, which was due to be released in the autumn of 1978. It was a hugely important album for Ozark Mountain Daredevils. So much so, that I’m Alive was the most important album Ozark Mountain Daredevils had released in many a year. Ozark Mountain Daredevils only owed A&M Records one more album. After I’m Alive, Ozark Mountain Daredevils’ contract was up. However, A&M Records held an option to give Ozark Mountain Daredevils a new contract. They seemed to be undecided about Ozark Mountain Daredevils’ future. If I’m Alive sold well, then this might result in A&M Records taking up the option. I’m Alive was well received by critics. It found Ozark Mountain Daredevils rolling back the years. The critical response to the album bode well for the release of I’m Alive in September 1978. However, when I’m Alive was released, it reached a lowly 178 in the US Billboard 200. Suddenly, Ozark Mountain Daredevils’ future at A&M Records’ looked in doubt. That was apart from those who had witnessed Ozark Mountain Daredevils’ performance on The Midnight Special. They had been booked as the special guest, and were to play a set. This was the perfect showcase for Ozark Mountain Daredevils, and could help rejuvenate their career. The disco years hadn’t been kind to country rock bands like the Ozark Mountain Daredevils. Their record sales had fallen between 1976 and 1978. 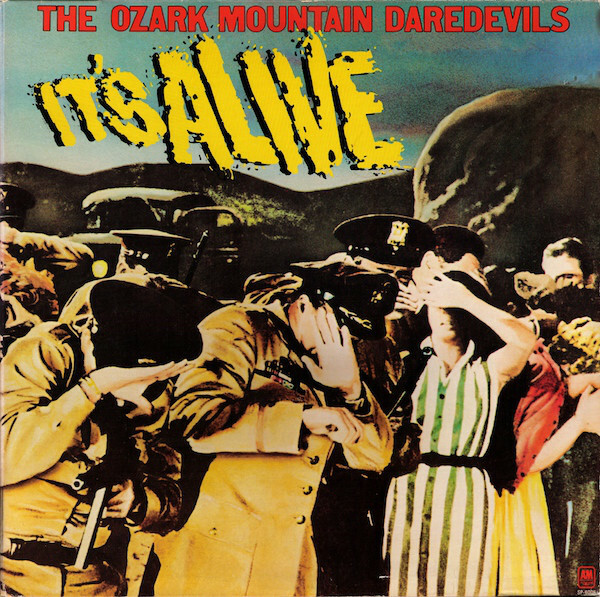 The last album Ozark Mountain Daredevils released was It’s Alive in 1978, which stalled at 176 in the US Billboard 200. This couldn’t have come at worse time, as the band’s contract with A&M was coming to an end. At least A&M still held an option to give Ozark Mountain Daredevils a new contract. A good performance on The Midnight Show would maybe convince A&M to renew Ozark Mountain Daredevils’ contract? Fortunately, Ozark Mountain Daredevils caught a break. The band were invited to appear on a forthcoming appearance on The Midnight Show later in September 1978. Ozark Mountain Daredevils’ managers contacted executives at A&M know about the band’s forthcoming appearance on The Midnight Show. A&M were still undecided about picking up the option on Ozark Mountain Daredevils’ contract. So it was decided that Jerry Moss would head to Los Angeles to see Ozark Mountain Daredevils play live on The Midnight Show. The Ozark Mountain Daredevils had flown to Los Angeles to play on The Midnight Show. This was a prestigious television show, and had the potential to introduce Ozark Mountain Daredevils’ music to a new and much wider audience. All Ozark Mountain Daredevils had to do was play a short set. There was a problem though. Before going onstage, some members of Ozark Mountain Daredevils had been alleged that the band had been some enjoying backstage hospitality. As they took to the stage, it was obvious that some of the band were under the inebriated. They flew through their set and then took their leave. A&M Records’ Jerry Moss who was watching on, wasn’t amused. Jerry Moss had the final say on Ozark Mountain Daredevils’ future. He decided not to pickup the option on their contract. Ozark Mountain Daredevils were dropped by A&M Records in 1979. After six years at A&M Records, Ozark Mountain Daredevils were without a recording contract. The band faced an uncertain future. Things had changed quickly for the band. Less than a year earlier, they were opening for Fleetwood Mac. Now they were without a recording contract. That was until Columbia Records approached Ozark Mountain Daredevils. They signed to Columbia Records in 1979. For Ozark Mountain Daredevils, it was a new start for one of the finest purveyors of Southern fried country rock. Being dropped by A&M Records had been a wakeup call. Now Ozark Mountain Daredevils were ready to begin work on their seventh studio album, which became Ozark Mountain Daredevils. It was a very different lineup of the Ozark Mountain Daredevils that began work on what was their second eponymous album. Only four members of the band remained. Steve Cash, John Dillon, Michael Granda and Larry Lee had been with Ozark Mountain Daredevils since the group was formed. They were the last men standing in Ozark Mountain Daredevils. The rest of the band had left to pursue other projects. The four members of Ozark Mountain Daredevils that remained, went away and began writing their next album. John Dillon, Larry Lee and Steve Cash penned Take You Tonight, Jump At The Chance, Empty Cup, Rosalie, Runnin’ Out and Fool’s Gold. John Dillon and Steve Cash wrote Tuff Luck and cowrote two other songs. He cowrote Sailin’ Around The World with Steve Cash, and then penned Lovin’ You with former Flying Norwegian frontman Rune Walle. Larry Lee contributed Oh, Darlin’ to Ozark Mountain Daredevils. It was recorded in Los Angeles. Given Ozark Mountain Daredevils had newly signed to Columbia Records, them weren’t really in a position to call the shots about where the album was recorded. So Ozark Mountain Daredevils made the journey to Los Angeles, where two of the city’s top studios were used. Recording sessions took place at Westlake Studios and The Record Plant with producer John Boylan. Harmonica player and vocalist Steve Cash joined guitarist and vocalist John Dillon; bassist Michael Granda and Larry Lee Michael who played keyboards, guitar, percussion and added vocals. Augmenting Ozark Mountain Daredevils were backing vocalists and some top session players. Over the next weeks and months, Ozark Mountain Daredevils’ seventh studio album began to take shape. Eventually, the four members of the band Ozark Mountain Daredevils guided by producer John Boylan completed what was a very different album from their last couple of albums. After Ozark Mountain Daredevils’ last two studio album failed commercially, the band decided to change tack. This was a big decision, and one they didn’t take lightly. The last thing they wanted to do was alienate their existing fans. However, if Ozark Mountain Daredevils didn’t reinvent their music, the future looked bleak. They couldn’t continue to release albums that reached the lower reaches of the US Billboard 200. So Ozark Mountain Daredevils marked the start of a brave new world. 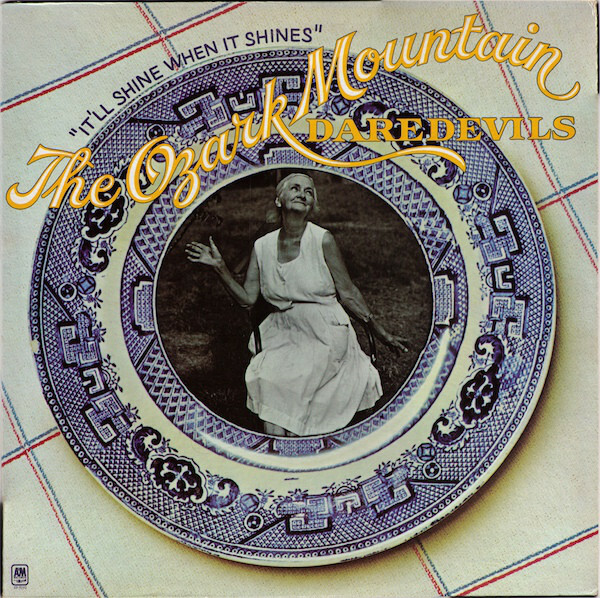 Ozark Mountain Daredevils had recorded an album which featured everything from AOR, country rock, FM rock, pop, rock, Southern rock and the West Coast sound. Stylistically, it sounded as if Ozark Mountain Daredevils were following in the footsteps of The Eagles and the Little River Band by recording an album of carefully crafted, melodic and radio friendly songs. They were bang on trend, and should attract the attention of radio programers. If that was the case, then Ozark Mountain Daredevils would be the comeback Kings. All Ozark Mountain Daredevils had to do was convince critics and record buyers. Ozark Mountain Daredevils were halfway their when critics hailed their eponymous album their finest album of recent years. That was no surprise, given the quality of songs on Ozark Mountain Daredevils. Opening the album was Take You Tonight, a hard rocking slice of country rock that’s reminiscent of The Eagles. Ozark Mountain Daredevils don’t spare the hooks on Jump At The Chance and Lovin’ You, which are melodic and radio friendly songs. Sailin’ Around The World and Tuff Luck were sure to appeal to Ozark Mountain Daredevils’ loyal fans. Both songs feature the band’s trademark humour, as play with freedom and a degree of spontaneity. After this it’s all change. Very different is the paean Oh Darlin’, which is a beautiful ballad. This shows a very different side to the band. So does the mid-tempo Empty Cup, which showcases a slick AOR sound. Rosalie is a carefully crafted, radio friendly fusion of country rock, pop, rock. 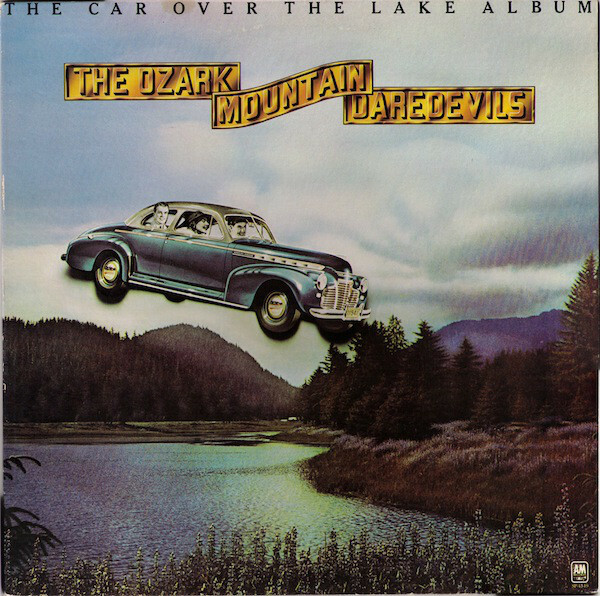 Then on Runnin’ Out, Ozark Mountain Daredevils combine blues and country rock. As is often the case, the best has been saved until last. Fools Gold gradually unfolds revealing drama and beauty before heading in the direction of progressive rock. Eventually, the track becomes a rocky anthem that should’ve found favour with FM rock programers. Sadly, it wasn’t to be. When Ozark Mountain Daredevils was released, the album reached just 170 in the US Billboard 200. This was slightly better than I’m Alive. However, it wasn’t good enough for Columbia Records, and for the second time in two years they were dropped by a record label. For Ozark Mountain Daredevils it was the last album they released on a major label. Thirty-seven years after the release of Ozark Mountain Daredevils, it remains one of the hidden gems in the band’s back-catalogue. Ozark Mountain Daredevils had reinvented their music in an attempt to remain relevant. To do that, Ozark Mountain Daredevils combined elements of AOR, blues, country rock, FM rock, pop, rock, Southern rock and the West Coast sound. The result was an album of carefully crafted, melodic and radio friendly songs. It sounded as if Ozark Mountain Daredevils were following in the footsteps of The Eagles and the Little River Band. Sadly, commercial success eluded Ozark Mountain Daredevils. Since then, Ozark Mountain Daredevils has been an oft-overlooked album. Not any more though, as BGO Records recently remastered and reissued Ozark Mountain Daredevils. This oft-overlooked and underrated album features Ozark Mountain Daredevils at their most melodic and accessible on their 1980 major label swan-song album Ozark Mountain Daredevils.